Air conditioning is a necessity in places that have a hot, humid climate for keeping the surroundings pleasantly cool. It also helps devices that need a cool atmosphere to operate smoothly. In places such as Chicago that have periods of hot weather, air conditioners are a very popular device. The general principle on which most air conditioners work is this: they contain a chemical that easily transforms from a gas to a liquid and back again. This chemical removes heat from the air inside the room and transfers it to the air outside, thus cooling the inside of a room or a building. 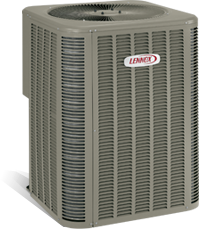 Heat pumps are a special sort of AC that operates slightly differently. A heat pump contains a valve that allows it to switch function, depending on the need. The pump functions as a furnace when the valve is switched in a particular direction. When the valve is switched in the other direction it functions as an AC. Modern-day ACs have a host of useful features. Most of them have noise reduction systems so that they function with minimum noise. They also generally come with options for humidity control. A central AC unit is mostly connected to a house’s air distribution system. Cool air is distributed from the air conditioning device through the same motor, blower, and ductwork that are used for heating. A central AC is thus useful for cooling an entire floor or building at a time. We at Van Drunen Heating and Air Conditioning, offer services such as installation and maintenance of ACs. In case any equipment develops a snag, we also perform air conditioning repair.